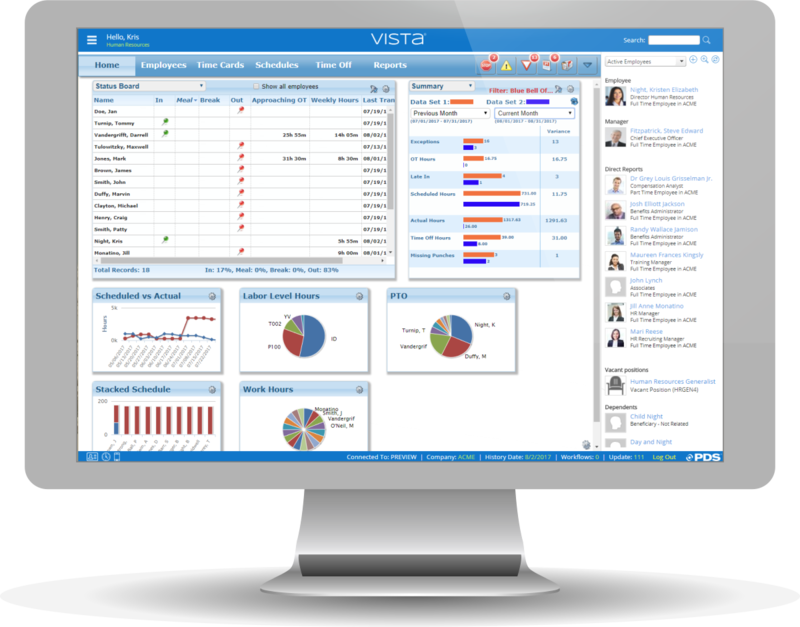 When it comes to providing the time and attendance tool that meets the needs of your workforce, PDS is flexible. 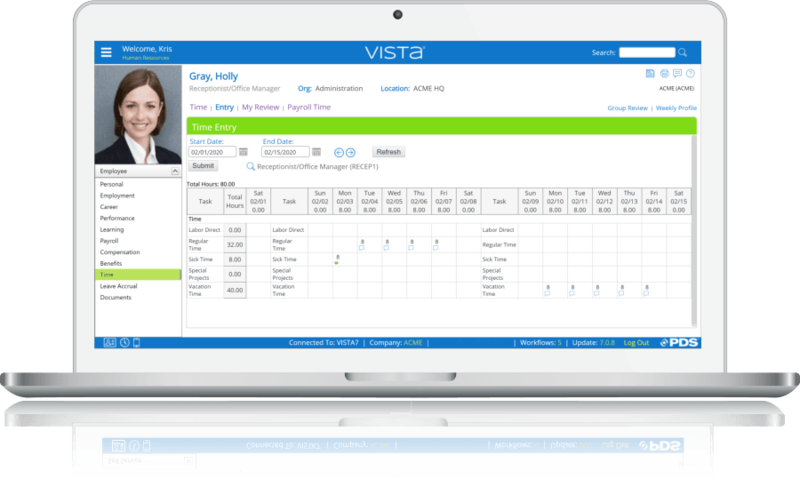 Both Vista and our enhanced, cloud-based time-and-attendance tool Vista Time® offer many features that give your organization options to manage your workforce more effectively. Want to Know More about Time and Attendance?